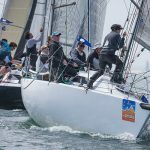 Howth Yacht Club in association with UK McWilliam Sailmakers and the Irish Cruiser Racing Association are running two days of coaching for yachts and their crews on the weekend of the 20th & 21st May. 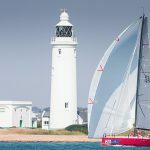 Skippers and crews eager to improve their skills and tune up for the season ahead are invited to partake in what will be two brilliant days of sailing. The racing season is just around the corner with the ICRA Nationals taking place in early June. Des McWilliam and Graham Curran of McWilliam Sailmakers will be doing on the water coaching both days followed by video debriefs. You can enter your boat online via the HYC site here. This is NOT exclusively for customers of McWilliam Sailmakers, you are invited to train no matter who supplies your wardrobe. Entries are strictly limited to 10 per day for a 5:1 coaching ratio. You are free to enter both days if you wish but don’t delay or you could miss out!